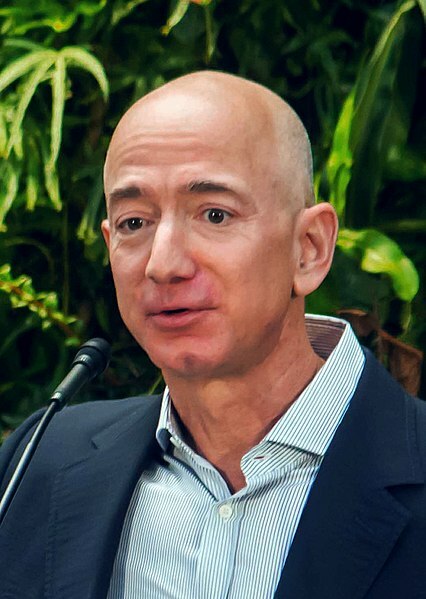 When Amazon founder Jeff Bezos announced last month that he and his wife, MacKenzie Bezos, were divorcing, the news was quickly followed by a National Enquirer story that said Bezos was having an extra-marital relationship with Lauren Sanchez, a former TV host, who is also married. As it turns out, the betrayal may have been close to home: Sanchez’s brother. Michael Sanchez is a big fan of Trump and has ties to Trump’s circle of oddballs, including recently indicted dirty trickster Roger Stone. Sanchez also happens to be gay. Related: Why is Amazon CEO Jeff Bezos donating to an anti-LGBTQ candidate? According to The Daily Beast, Bezos’s investigators have questioned Michael Sanchez about the leaked messages. Gavin de Becker, Bezos’s personal security consultant and a former Justice Department official, said that “strong leads point to political motives” for whoever turned the messages over to the Enquirer. Bezos has been a particular target of Trump’s for a while. As the owner of The Washington Post, Bezos looms large in Trump’s imagination as the source of endless negative press coverage. The president has tried to use his office to punish Bezos by calling for higher postal rates for Amazon. If politics is the motive behind the leaks, it’s no wonder then that attention would turn to Michael Sanchez. Sanchez’s Twitter account is an ode to MAGA-hood, decrying the Mueller investigation as a witch hunt and attacking the mainstream media for fake news. Sanchez isn’t just a Trump fan. He has connections. He is an acquaintance of Roger Stone, who called Sanchez a friend during a broadcast on the conspiracy website InfoWars. (On the broadcast, Stone went so far as to deny that he had hacked Bezos’s phone, which no one had ever suggested him of doing.) Carter Page, a former Trump advisor who is being investigated by Mueller for his ties to Russia during the presidential campaign, also describes Sanchez as a friend. In other respects, Sanchez comes off as a typical West Hollywood gay man. A talent manager and publicist, Sanchez has been married to his husband since 2011. They dressed as giant handbags for Halloween two years ago. In response to the news he’d been questioned, Sanchez accused de Becker of spreading “fake, unhinged conservative conspiracy theories [and] ‘dog whistle” smears.” There certainly are other possibilities. Whatever the source, the news gave Trump a chance to gloat about an enemy. Bezos’s divorce is “going to be a beauty,” Trump predicted. If anyone would know, it would be the thrice-married Trump.